What is the value of K that leaves the observer alive with probability ½? where the sum stops with the (sure) extinction of the population. Which is the moment generating function of the sum. At x=1-10⁻⁴. Hence the problem relates to a Galton-Watson extinction problem. However, given the nature of the extinction process I do not see a way to determine the distribution of the sum, except by simulation. 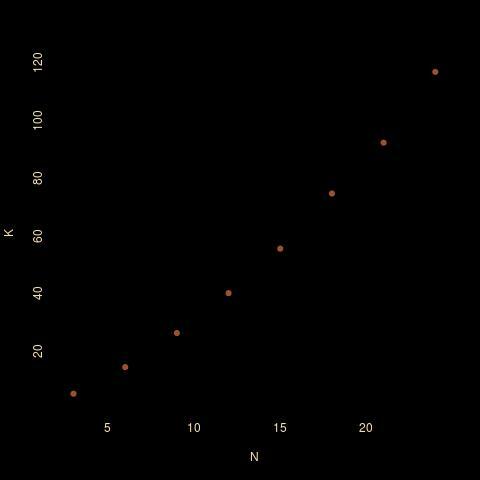 Which returns K=26.3 for the specific value of N=9.